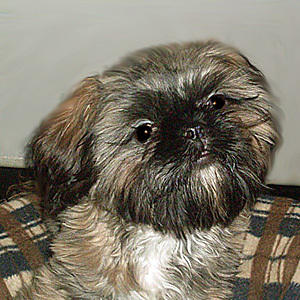 DUMPLIN (Shih Tzu) joined us in May 2012. 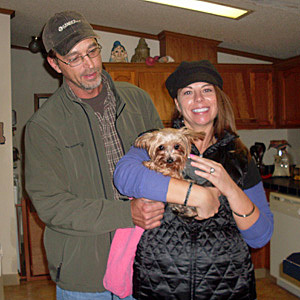 Dumplin arrived with a cleft pallet and surgery was necessary. She came through the surgery with flying colors and what a beautiful little girl. She was so loving and full of curiosity. Every day was an adventure for her. She gave the best kisses ever and just loved to be held and cuddled. We shall miss her. 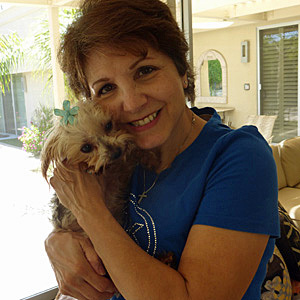 KIKI (Yorkshire Terrier) joined us in October 2012. 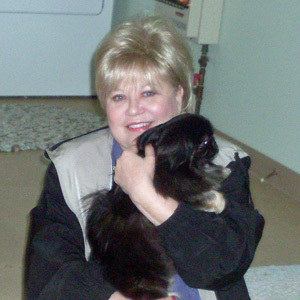 Kiki was a retired breeder. She arrived very shy and unsure of herself. As the days progressed she began to realize she was safe. She learned to trust again and realized how much she was loved. What a dear, sweet little girl she was. 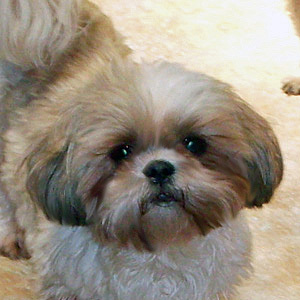 DORY (Shih Tzu) joined us in January 2011. Dory was three months old when she came into our care. 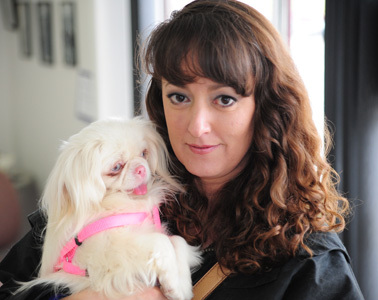 She was turned over to us due to sight impairment. 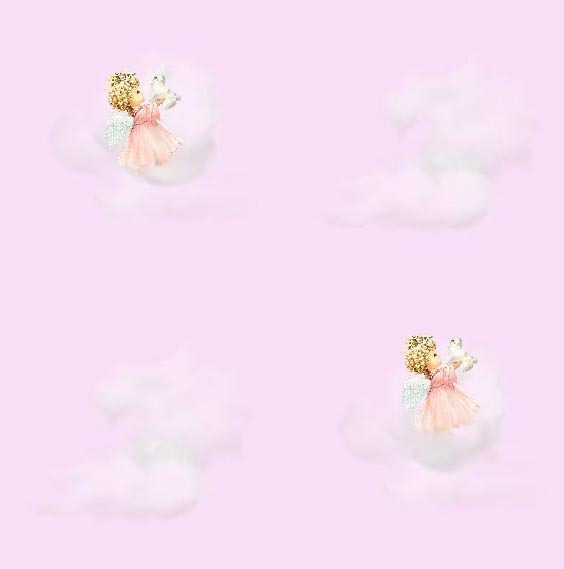 She was a beautiful little girl who crawled right into our hearts. She loved her own special bed, space and toys. 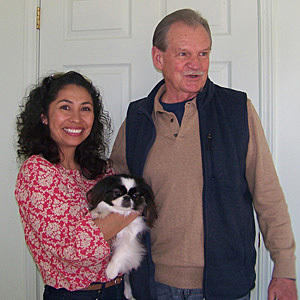 She needed a very special home and we are thrilled for she is now truly home. 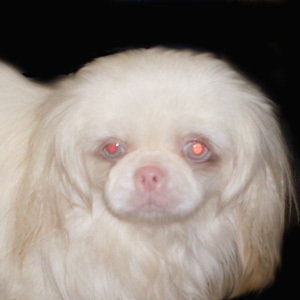 COCONUT (Pekingese) joined us in September 2008. He joined us due to kennel down sizing. He was a handsome, lovable Pekey boy. He filled our lives with so much joy every single day. He will remain in our hearts forever. 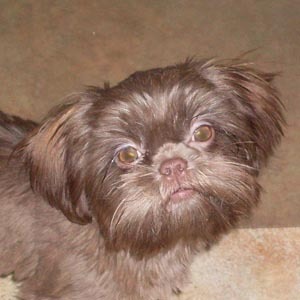 HANNAH (Shih Tzu) joined us in December 2009. She was a retired breeder. Once she was comfortable with us her wonderful personality emerged. What a character she was! Not a day went by that she did not put a smile on our face. Enjoy your wonderful home our "Hannah Banana". 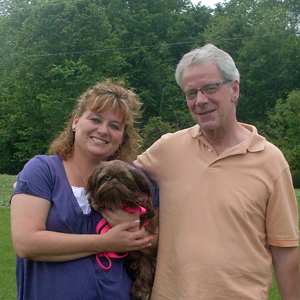 MIMZY (Yorkshire Terrier) joined us in January 2013. 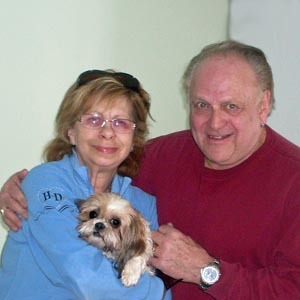 She was a retired breeder. She arrived a bit shy, but it didn't take her long to jump into our laps and ask for lots of cuddles and kisses. She became our constant lap buddy and we so enjoyed holding her close. 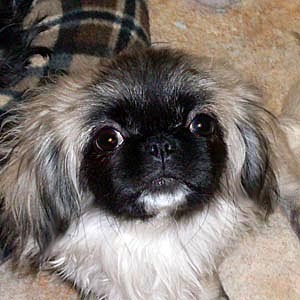 SHANIA (Pekingese) joined us in October 2009. 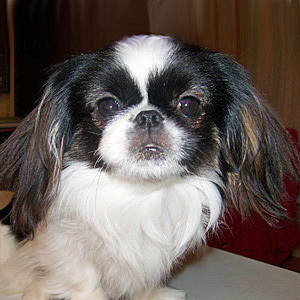 Shania and her siblings were facing euthanization due to under development in their bone structure. 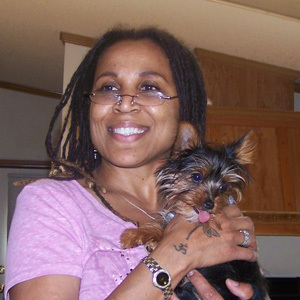 With therapy and supplements Shania's bones began to develop. Within a year she was a healthy, active little girl. She was such a sweet little girl and just loved to be loved. 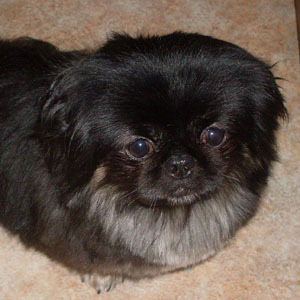 TANK (Pekingese) joined us in November 2010. He was a retired breeder. Tank was so very shy when he arrived, but gradually began to trust again. He was such a handsome, loving little boy and we will miss those big brown eyes and loving personality. 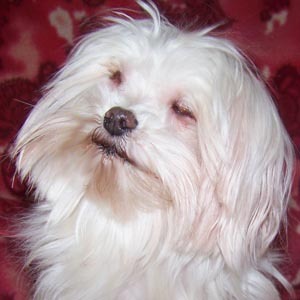 ZANNA (Maltese) joined us in January 2012. 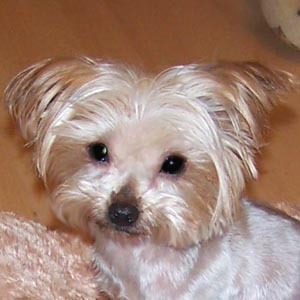 Zanna was turned over to us by a breeder because she was blind. Zanna was an absolutely amazing little girl. She did not allow her disability to affect her in any way. 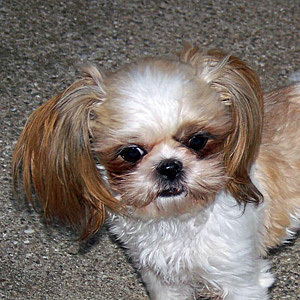 She loved to play with the other pupsters and whenever she wanted anything she could dance on her hind legs. She won all of our hearts! 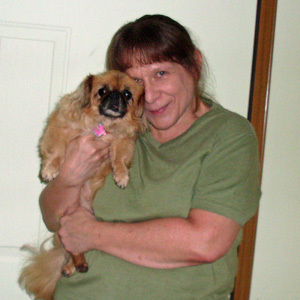 SWIZZLE (Pekingese) joined us in May 2012. She was the sweetest, most loving little Pekey girl we have had the privilege to love. She was so beautiful and when she looked up at us with those big brown eyes she got anything she wanted. I guess you could say she had us wrapped right around her little paws. 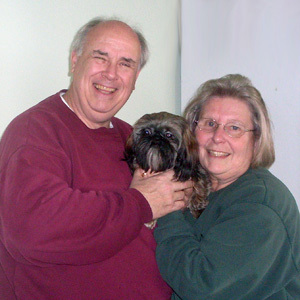 ALMOND (Shih Tzu) joined us in December 2012. 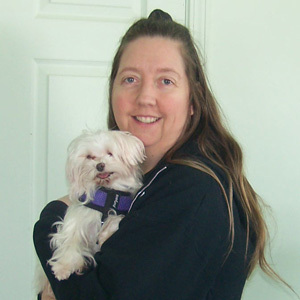 She came to us as a puppy due to double inguinal hernias. Her surgery was successful and she became one of the most loving little girls anyone could meet. 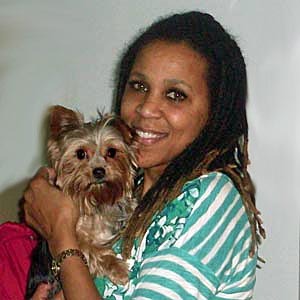 She was packed full of energy and every day with her was a joy. 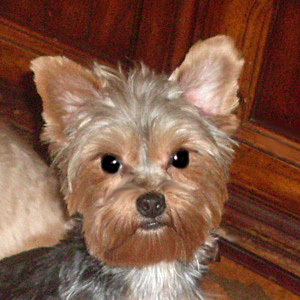 YAHTZEE (Yorkshire Terrier) joined us in March 2013. He arrived due to a hip deformity. He was one busy little boy and could move faster on three legs than all of the other pupsters. He loved to be loved and will be missed. 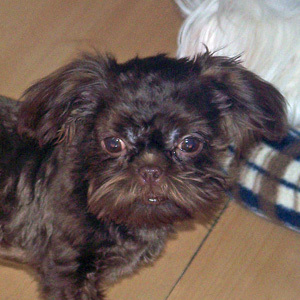 Alexander (fka NESTLEE Shih Tzu) joined us in December 2012. He had eye issues that needed immediate attention. 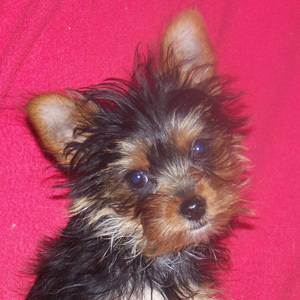 Nestlee was a sweet, cuddly, loving little boy. He loved everyone around him and gave the other pupsters a run for their money. We miss those big brown eyes and sweet liver lips. 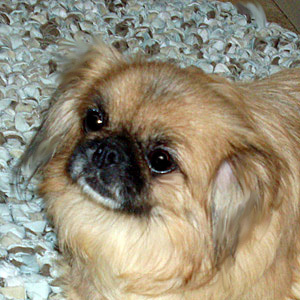 Biscuit (Pekingese) joined us in March 2009. We cannot say enough about this sweet little girl. She was one of the loves of our lives. Her personality was so very cute and she was just packed full of love. We miss you so sweet Biscuit. 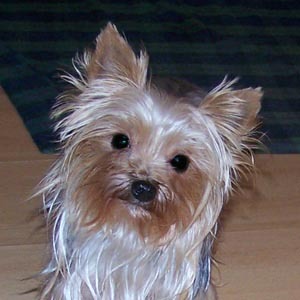 Shelbie (FKA RACHEL Yorkshire Terrier) joined us in June 2011. Shelbie was an absolute love bug. She wanted nothing more than to be in your lap being cuddled. We enjoyed her cute antics and yummy kisses. We will miss her! 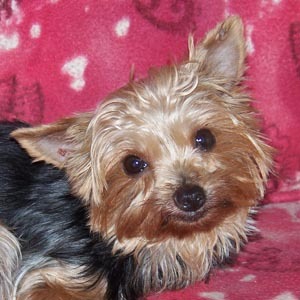 Zella (Yorkshire Terrier) joined us in October 2012. 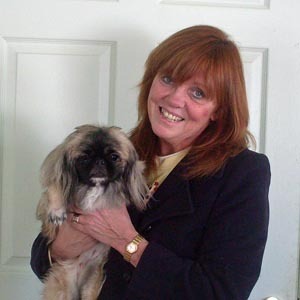 Zella was a retired breeder. She arrived so shy and withdrawn. She was so fearful of everything around her. Day by day she improved and finally realized that all was right in her world. She was such a beautiful little girl who crawled right into our hearts.